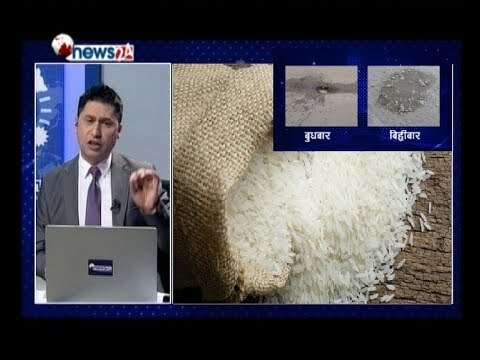 Plastic rice issues and talking with scientist of Canada about the plastic rice and its effects. the owner of the rice company put in the whole and flushed it know more about the plastic rice. in this program where you can see the solution and a reporter who looking for cash for the reporter, the broker who frauds a lots of people who saying to bring to Canada. a reporter who bargaining money with a businessman. this program broadcast in the nepal News24 tv and a really popular in the Nepali Media and people.